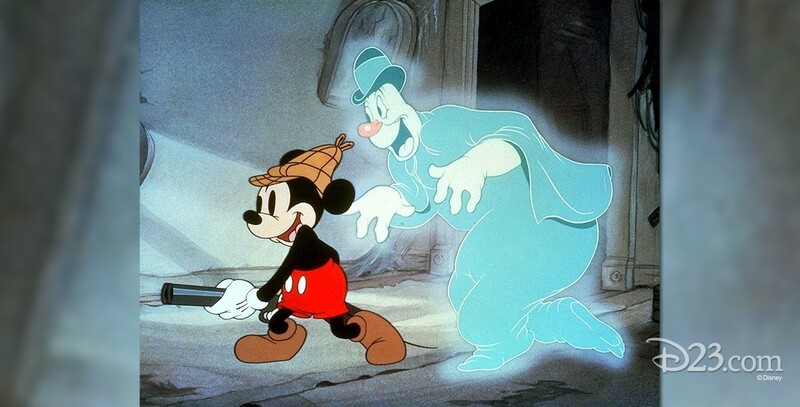 Lonesome Ghosts (film) Mickey Mouse cartoon; released on December 24, 1937. Directed by Burt Gillett. Some overconfident spirits hire professional, but inept, ghost-exterminators Mickey, Donald, and Goofy to try and get rid of them, hoping to have some fun in the process. The exterminators succeed in ridding the house of the ghosts accidentally, after many misadventures in which they crash into molasses and flour and appear more hideous than the ghosts, which scares the ethereal inhabitants into racing out of the house. One of the more interesting inventions of the Disney Animation Department was transparent paint, used effectively for the ghosts in this film.